Also Known As A Student's Algebra Cheat Sheet! Well, I like to call these a "Quick Reference Guide", but when I first showed the "Solving Equations Quick Reference Guide" to my niece, she instantly said, "WOW, my very own cheat sheet! I really hadn't thought of it as cheating - unless of course you sneak it out during a test. But, we know that no one would try to do that. 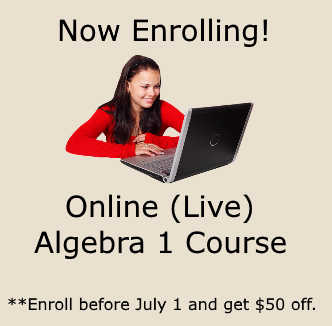 So, What is My Algebra Cheat Sheet? It's a one page document that outlines all the major parts of a unit. Instead of digging through your notes when you've forgotten a minor detail, you may be able to quickly find it on this sheet! 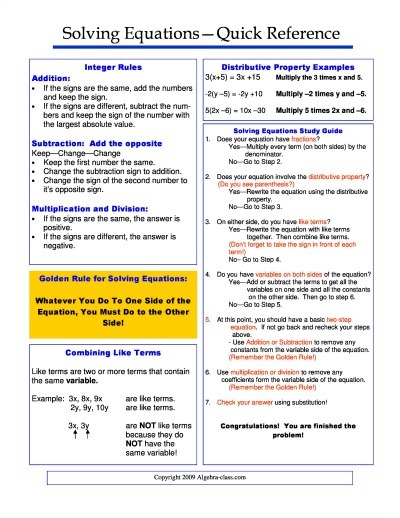 This is the Algebra Cheat Sheet for the Solving Equations Unit. 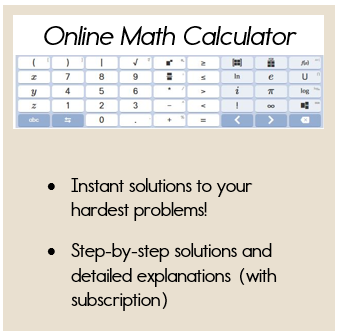 Click here to download the Algebra Cheat Sheet for every Algebra Unit! These documents are perfect for teachers to hand out to students at the beginning of the unit. Students can refer to the cheat sheets as they complete homework and classwork. Homeschool families love the cheat sheets too. This is a great way to help students when they just can't remember those minor details. I hope you find this useful in your studies. Best of luck!